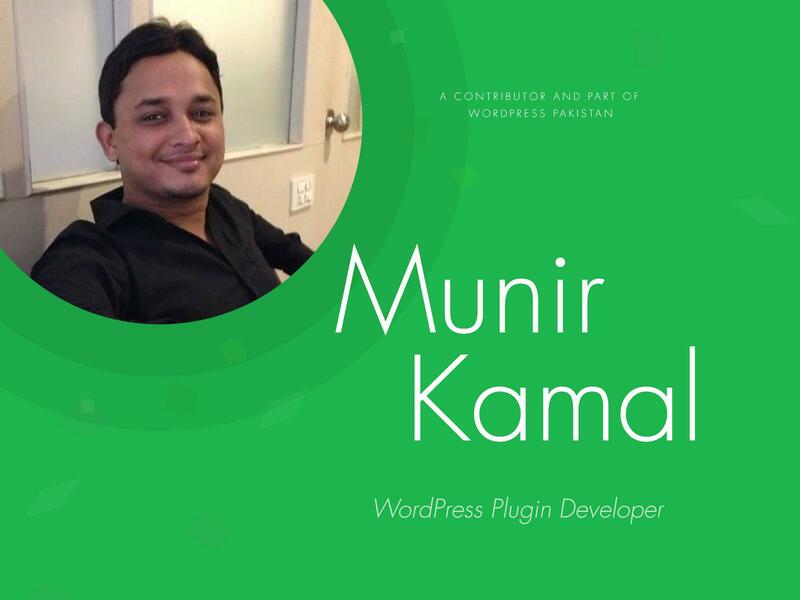 Munir Kamal, I have been working as a WP developer for more than five years now. I have been busy mainly with client projects and have completed multiple Wp projects so far, which includes WooCommerce projects as well. I have also developed and published a plugin at WP.org, which is an add-ons set of SiteOrigin builder and has 20,000+ active installs. I have been a little bit engaged with my own WP plugin and it’s support so far as mentioned above that plugin is also a contribution as you understand. But have not been involved in contributing to WP except that. My plugin experience is awesome, although i do not get enough time to manage it but it’s good. Ahmad Awais motivated me for sure. That’s him mainly and a couple of other fellows. It’s been hard to get time beside client tasks, and I am bad at managing time, but this will be a change hopefully being a part of this motivated community. If you earn with WordPress and WP is making you money in any way, and we want to keep earning the way we do so we should all contribute to this, as this is an open source project itself and the community is taking it all the way from just a blogging platform to this level so far that we can earn through it by developing client’s website or by-products like themes, plugins or any Wp related services. If the community shouldn’t have been contributing, WP may not have been so successful as it is now and thus we might not be able to earn that much with it as we do not. So we should, at least, contribute a couple of hours a week as payback for the wp project. It would be great if we move on to WP core contribute as a group sometime in future, with the guidance from Ahmad Awais who’s a WP core contributor. Thank you, Ahmad ?.